﻿Playwrights Horizons is the birthplace of American classics like Grey Gardens and Driving Miss Daisy. In a city rich with cultural offerings, the 42-year-old institution needed a site to reflect their mission: sharing the stories of today by the writers of tomorrow. We designed with light touch to allow their shows to shine, on a website where they can both announce current productions, and celebrate past shows. 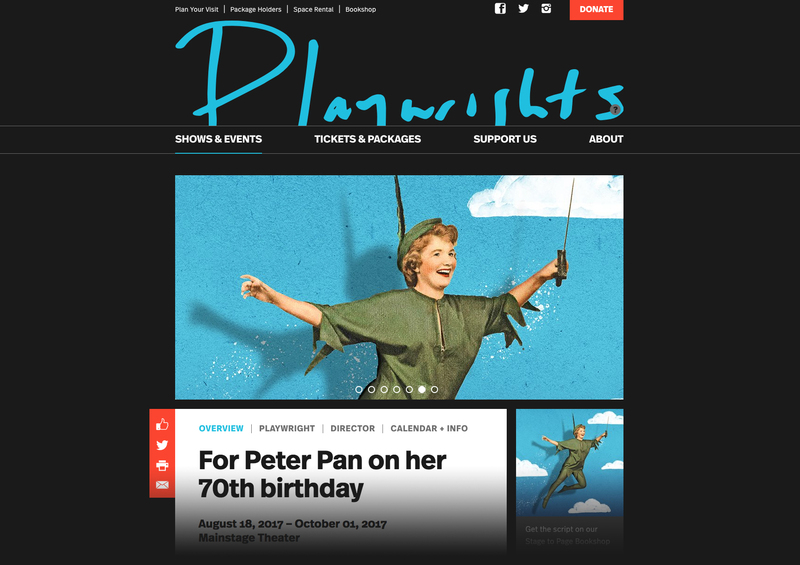 Playwrights Horizons needed a more engaging platform to showcase their productions and a flexible, user-friendly CMS for their team to control the site content. Visually integrating ticket sales and donations was also a high priority. 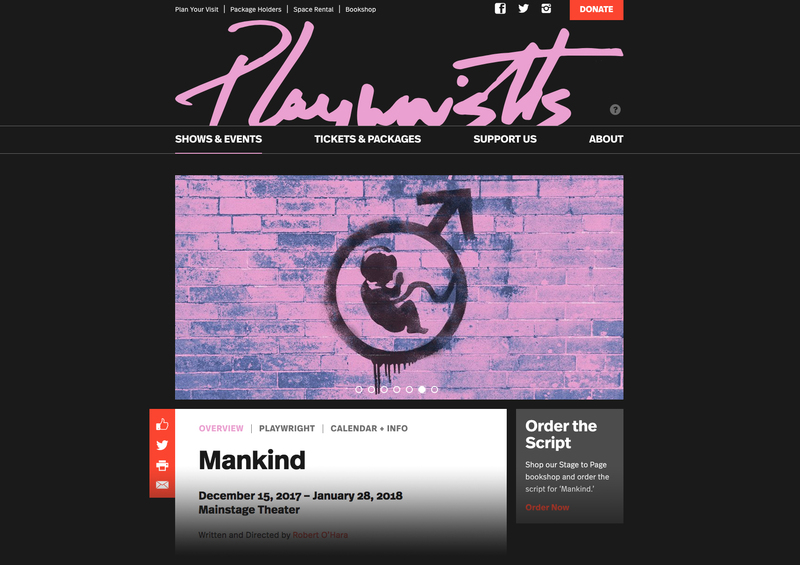 We overhauled the content structure and CMS to create a seamless user experience for subscribers, ticket buyers, and donors, as well as the Playwrights team. Lookswise, we sync'd up their new branding with the featured show art for unified visual appeal. 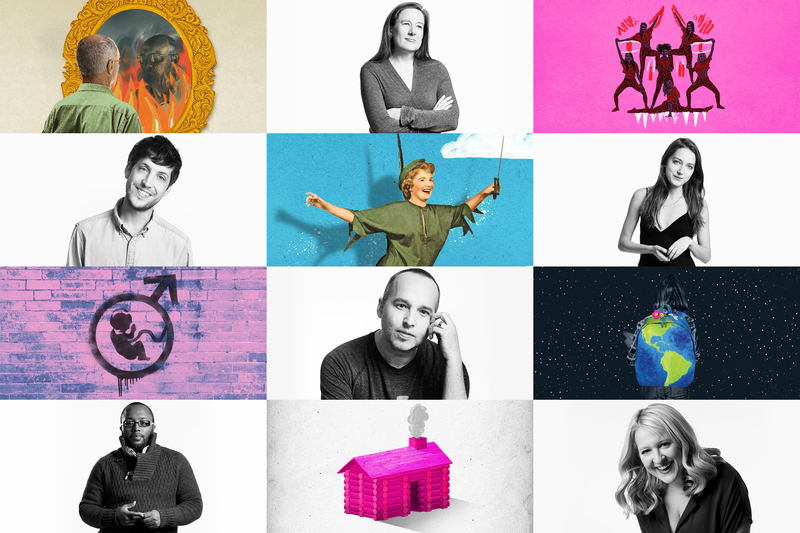 We worked closely with Pentagram to extend the new Playwrights branding into the digital realm. Their new identity is a logo system of their name written in the handwriting each playwright featured at the theater, capturing the fact that this is a writer's space and that, as a company, they are dedicated to championing the voice of the American writer. We were excited to take this concept even a step further online, so in addition to just showcasing the various logos across different pages, we also enabled a CMS-controllable color selector. Now each show's unique logo witten by its playwright also matches the show art, giving each event page a more branded and cohesive feel. We wanted to take this a step further online, so in addition to just showcasing the various logos across different pages, we enabled a CMS-controllable color selector. Now each show's unique logo, witten by its playwright, also matches the show art, giving each event page a more branded and cohesive feel. The site's minimalist visual design allows productions to take center stage. The dark backdrop, neutral palette, and clean typography provide an optimal canvas for celebrating and showcasing Playwrights' vibrant current and past show artwork. As well, the use of video and in-page animation adds dynamism and allows the sharing of key marketing components. A minimalist visual design with strong typography creates the optimal platform for Playwrights to celebrate and showcase current and past shows. Productions take center stage with a dark backdrop and neutral palette allowing the show art and vibrant branding to shine. The inclusion of video adds dynamism and a key marketing component, while the visual integration of a third-party Donations and Ticketing product preserves a unified Playwrights brand experience throughout your site visit. Our updated strategy reinforces Playwrights' mission by putting writers and their productions front and center, however the organization did have additional business goals. To best serve their needs, we streamlined content into three core focus areas: show ticketing, memberships, and support. We worked with a third-party product to visually integrate workflows for ticket purchases, membership sign ups, and donations, to provide a seamless and unified website experience. The site is also responsive so you can easily find and purchase tickets on the go. We built a scalable and flexible CMS in Django which supports all the show content as well as all dynamic pages, with information about labs, residencies, and educational programs. The user friendly CMS tools mean that non-technical staff at Playwrights can easily manage and update content across the site. We built a scalable and flexible CMS in Django which supports all the show content as well as all dynamic pages, with infomation about labs, residencies, and educational programs. The user friendly CMS tools mean that non-technical staff at Playwrights can easily manage and update content across the site. Playwrights has a rich production history, dating back to 1971. Visitors now have access to the archive and can browse past shows by individual season or decade, featuring photos and reviews from the production. A robust search means that you can also search for anything: your favorite show, playwright—even David Schwimmer! Playwrights has a rich production history, dating back to 1971. Visitors now have access to the archive and can browse past shows by individual season or decade, many featuring photos from the production. A robust search means that you can also search for anything: your favorite show, playwright - even David Schwimmer! 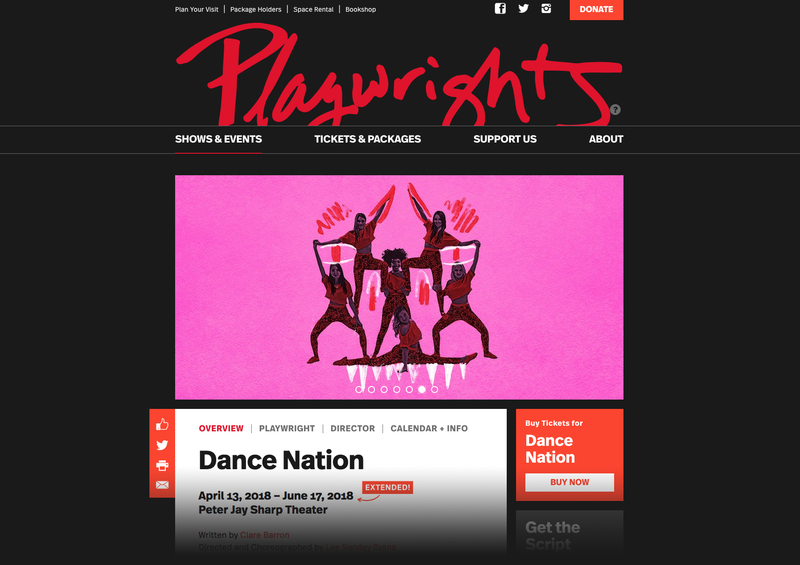 The digitization of the new Playwrights brand elevates their presence in a city rich with cultural offerings, and the simplified online donation process and accompanying guidelines have driven more contributions to the Playhouse’s initiatives. We continue to be a digital partner to Playwrights, working with them to enhance features and functionality. The digitization of the new Playwrights brand elevates their presence in a city rich with cultural offerings and the simplified online donation process and accompanying guidelines have driven more contributions to the Playhouse’s initiatives.